What makes it special: The AMX is a two-seat GT-style sports car that was produced by American Motors Corporation for the 1968 through 1970 model years. The AMX was also classified as a muscle car, but “unique among other American cars at the time due its short wheelbase.” The AMX was also the only American-built steel-bodied two-seater of its time, the first since the 1955-1957 Ford Thunderbird. To a degree, the AMX was a competitor with America’s only other two-seater of the era, the Chevrolet Corvette for substantially less money. 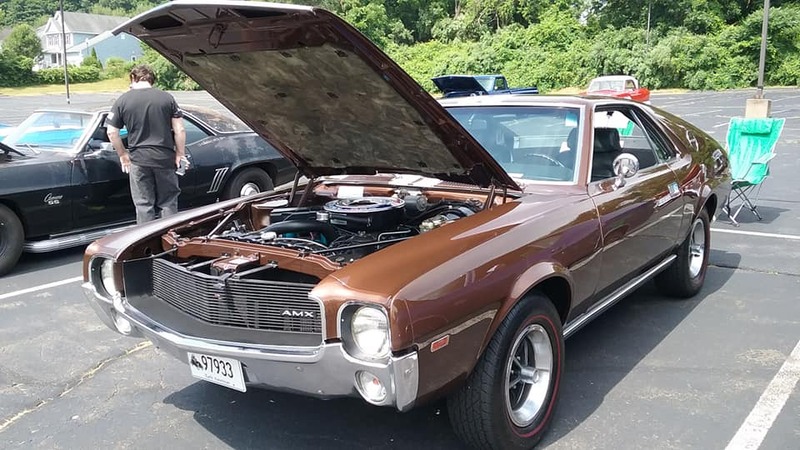 What made it famous: Fitted with the optional high-compression medium block 390 cu in AMC V8 engine, the AMX offered top-notch performance at an affordable price. In spite of this value and enthusiastic initial reception by automotive media and enthusiasts, sales never thrived. However, the automaker’s larger objectives to refocus AMC’s image on performance and to bring younger customers into its dealer showrooms was achieved. After three model years, the two-seat version was discontinued, and the AMX’s now signature badging was transferred to a high-performance version of its four-seat sibling, the Javelin, from the 1971 to 1974 model years. Why I would want one: I love the AMC muscle car line. The cool thing about the AMX is that it only has two seats, making it great for serious competition due to it’s light weight and short wheelbase.